A protest led by several monks and lay people took place on 05.06.2016 in front of the mosque in Kandy, situated near the Central Market. There were also present members of the Police force. The point of contention was that this mosque is building a minaret which they allege will be taller than the height of Dalada Maligawa. According to some prominent persons, this is an unsubstantiated allegation. The first question; Is there a law which prohibits any construction up to the height of the Dalada Maligawa? If there is no such law, can Article 9 of the Constitution be invoked with the argument of giving foremost place to Buddhism? It will be an interesting proposition to see how the courts would interpret Article 9 under such circumstances, if invoked. For further consideration will be the relevant Sections of the International Covenant on Civil and Political Rights (ICCPR), the Lessons Learnt and Reconciliation Commission Report (2011) and the mandate of the Permanent Office of National Unity and Reconciliation. All of which dwells on freedom of religion, inter-faith harmony, inter-ethnic harmony etc. This mosque was popularly known in the past as the Malay Military Mosque. This leads us to the question as to who are the Malays? Why was it called the Malay Military Mosque? I do not wish this piece to be given a racially biased misinterpretation. Therefore, at the outset, I declare that my interest is confined only to the area of tracing the history behind this mosque and the Rule of Law. The Malays are a small community of people living in Sri Lanka who came to Sri Lanka in the early parts of the first millennium. Tony P. Miskin – Former Senior Lecturer, University of Moratuwa in his documentation titled “Chronological events in the history of Sri Lankan Malays” notes that a Malay king named King Chandrabhanu, is said to have ruled the Jaffna kingdom during part of the period 1235-1275. (Daily News of 14th Nov 1983 – Article by Henry P. Abeysekera, on “Historical Basis for National Unity”). History also amply records the presence of the Malays during the Portuguese, Dutch and the British periods. Quickly traversing from the ancient to the recent past history of the Malays, the first Sri Lankan Muslim to be honoured with the title of Kings Counsel during the British period was a Malay. He was the Late Honourable Justice Mass Thajoon Akbar, KC. (1880 – 1944). The late Justice also had the rare honour of being the first Sri Lankan Muslim to adorn the Supreme Court Bench. His being a Malay is a specific honour to the Malay community of Sri Lanka. There were also several other distinguished Malays who served in high or responsible ranks in the legislature, government departments and notably in the Fire Brigade, Police and the armed forces. Another first to the honour of the Malay community is the first Policeman to sacrifice his life while on duty. “Constable Tuan Sabhan of the Kandy Police Station, who died in his daring and courageous attempt to arrest Saradiel on 21 March 1864 is the first regular Police Officer of the Ceylon Police to sacrifice his life in the course of duty. Every year the commemoration of Police heroes Day is marked on this day”. Saradiel’s gang comprised of some daring individuals. The principal characters were identified as Mammala Marikkar, Hawadiya, Bawa, Samath, Kirihonda and Sirimala. (A History of the Ceylon Police Vol: 1 (1795-1866) by A.C. Dep, Retired Deputy Inspector General of Police). The Malays serving the British army were garrisoned in Kandy. Being Muslims they have to offer prayers five times a day. The Malay regiment was granted a large plot of land by the British to construct a mosque as a place of worship. Much of the land that belonged to the mosque, it is said had been acquired by subsequent governments. The prominent journalist Edward Chandrasiri who researched on the Sri Lanka Malays, writes in his book “Malaywarunge Abhimanaya” that Jamindar Tuan Tunku Hussain of the Malay regiment requested for a piece of land to enable the Malay soldiers to build a mosque for worship. The British rulers in 1820 granted a large piece of land in a place called Japilawatte. The soldiers of the Malay Rifle regiment with the help of the other local Muslims constructed the mosque which was popularly then called the Malay Military Mosque. 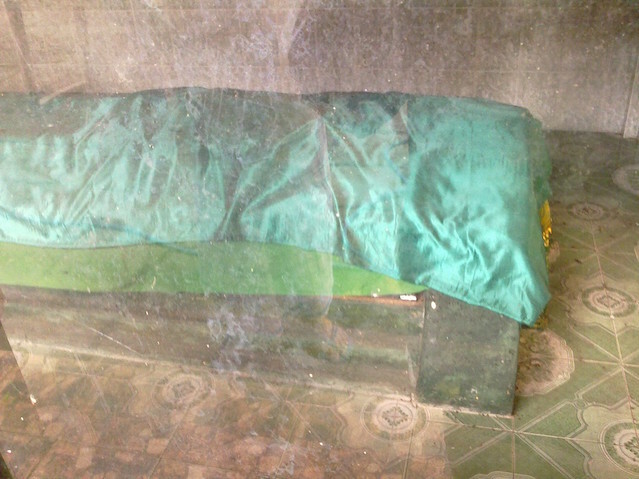 Tunku Hussain passed away in 1854 and was buried by the side of the mosque, whose grave remains there up to date. (Page 119). The history of the Malay Military mosque therefore, is not a new one. The government should identify it as a symbol of cultural heritage of the ancient Kingdom of Kandy and protect it as a national heritage. Looking at the protest video shown in a national TV channel one can surmise the several areas of the law possibly violated. 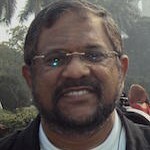 Besides the law, the primary violation is of Buddha’s teaching. He taught his disciples to let go tanha (craving) which he himself did. Alas, here we find claims exactly opposite to such teachings. When Buddha’s teaching was non-violence, the crowd shouts sadu, sadu in response to words of threats ! What is happening to Buddhism and the teachings of Buddha? Such uncivil behaviour on the part of those who are supposed to guide and direct human beings towards nibbana is unbecoming. The Constitution enshrines the freedom of thought, conscience and religion, Article 10. The right to equality before the law, Article 12. Are these limited to words in print only? The law applies to each and every citizen of this country irrespective of his social or religious status. The Rule of Law should reign supreme. As a nation, we are miserably failing in this regard. Section 291 A : uttering words with deliberate intent to wound religious feelings. Section 291B : Deliberate and malicious acts intended to outrage religious feelings of any class, by insulting its religion or religious beliefs. The saddest part is that the Police becomes part of the spectators. The way they deal with a university students demonstration and that of a monk led one is different. From an Islamic point of view, the minaret has no relevance to its religious belief. It is part of Islamic architectural embellishment and as the place from where the call to prayer is sent out. The symbol of a minaret in a mosque has no sacredness attached to it. To upset the feelings of another community by doing something which is of no religious importance will not be condoned in Islam. On the same token no person should be allowed to take the law into his hands and to indulge in coercion, threat, intimidation or to incite violence. The Rule of Law cannot be compromised in the name of coexistence or inter-faith harmony. 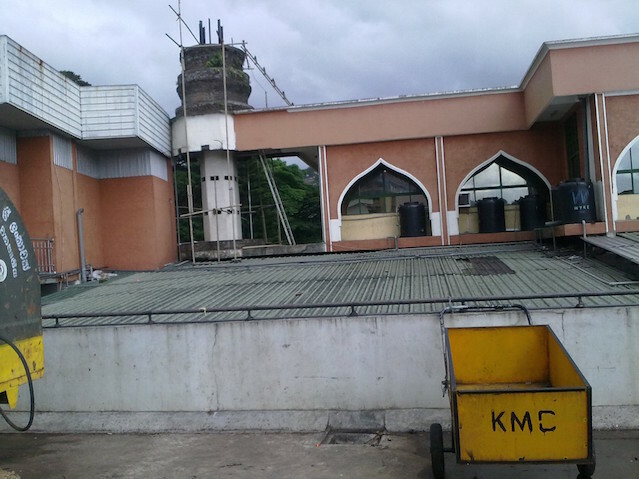 Applying the same Rule of Law principle, if the Trustees of the mosque have violated any law of the Kandy Municipal Council or any other relevant law, legal action has to be taken against them too. As no one is above the law whether it is a Muslim or a Sinhala; A Buddhist monk or a trustee of the mosque, in this instance.